Mountain climbing has become increasingly more and more popular as an outdoor activity for the past few years. Whereas a few years ago there were just a handful of Filipinos engaged in this activity, nowadays with the advent of social media and the availability of hiking and camping gears at more affordable prices, hiking has become one of the most popular outdoor activity for people of all ages. Who is the Novice Trekker? 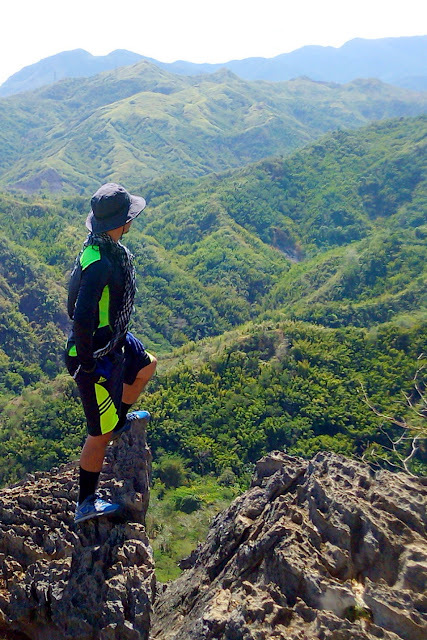 The Novice Trekker is just another newbie in the ever-growing and popular pastime of hiking. Lacking the proper training and a BMC certification, (completed BMC on 07/14/18) he considers himself a "hiker" and not a proper "mountaineer", although he fancies himself a "seasoned hiker" and is proud of his still growing list of hiked mountains and other outdoor destinations. Why does he climb mountains? What started as a curious fascination has developed into a passion for mountain climbing. At first his motivation was just the challenge and the desire to "conquer mountains". But as time goes by and as he developed deeper appreciation of hiking, he started realizing that there is more to climbing mountains than just the challenge. Now he is in the process of truly understanding what climbing mountains really entails: to appreciate the fact that mountains are timeless and deserve to be respected, to realize that he is small and insignificant compared to the mountain, and to finally accept and understand that it is not the mountain that he conquers but his own frailties and weaknesses. Why does he write about his hikes? 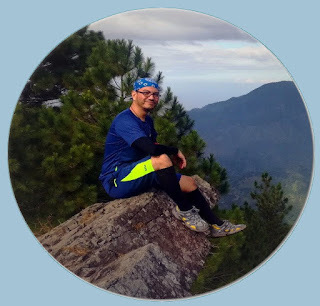 The Novice Trekker started this blog last March 2016 in the hopes of documenting his hikes and treks, not so much as to serve as a guide for other novice trekkers out there but rather to serve as a personal reference for himself, so that he may be able to look back a few years from now, read his posts and remember his adventures. Several posts in this blog have been deliberately backdated just to help him remember when he actually went to a particular place. Although he intends for this blog to be a personal reference, he does hope that others would also find it useful in their journey towards their own discovery and appreciation of nature. Or simply leave him a comment here or on one of his posts. Hello! Madami po pwedeng puntahan na walang linta/limatik. Try nyo po Mt. Batulao, maganda din view at siguradong walang linta :P Or Mt. Talamitam/Mt. Apayang na malapit lang sa Mt. Batulao. Thanks for the comment! Hi po ulit, actually nakapunta na po kami sa batulao, siguro nakaka8 na bundok na po kami na nahike hehe.. sige po try namin sa Mt. Talamitan..
Nung nag hike ako sa Maysawa Circuit rainy season din pero wala naman akong nakitang limatik :) Enjoy hiking!